1. Crane equips with PLC or HMI connecting to site 4G router. 2. Remote PC and server provide real time monitor and data analysis. 3. PLC programming software self-maintains the remote system. 4. Can pre-configure the setting by web. 5. Wireless communication, without conductor arrangement. 6. Automatic connection of internet guarantee the reliability of data. Product Features Provide real time monitor, and optimize the plant material handling solution. Looking for ideal Crane Remote Monitoring Manufacturer & supplier ? We have a wide selection at great prices to help you get creative. All the Crane Remote Monitoring are quality guaranteed. 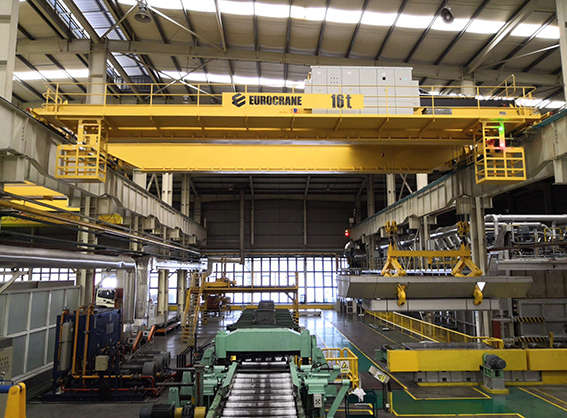 We are China Origin Factory of Crane Remote Monitoring. If you have any question, please feel free to contact us.